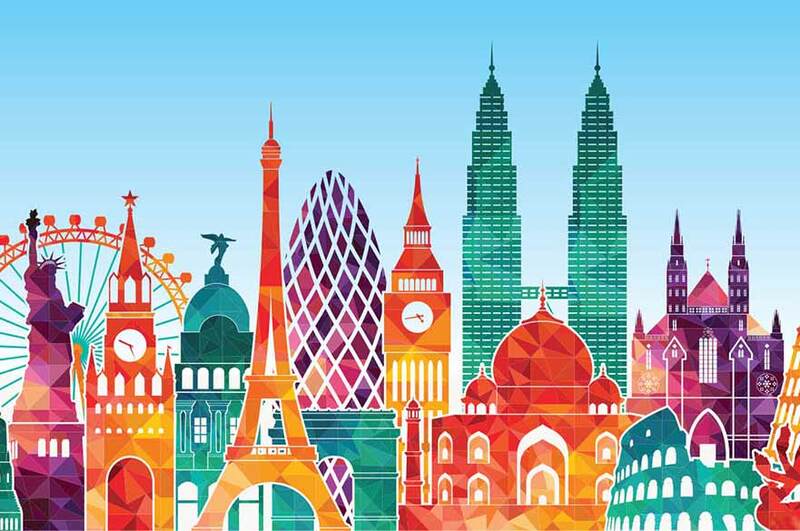 Get involved in the biggest celebration of cultural diversity at the University and travel the world in five days. 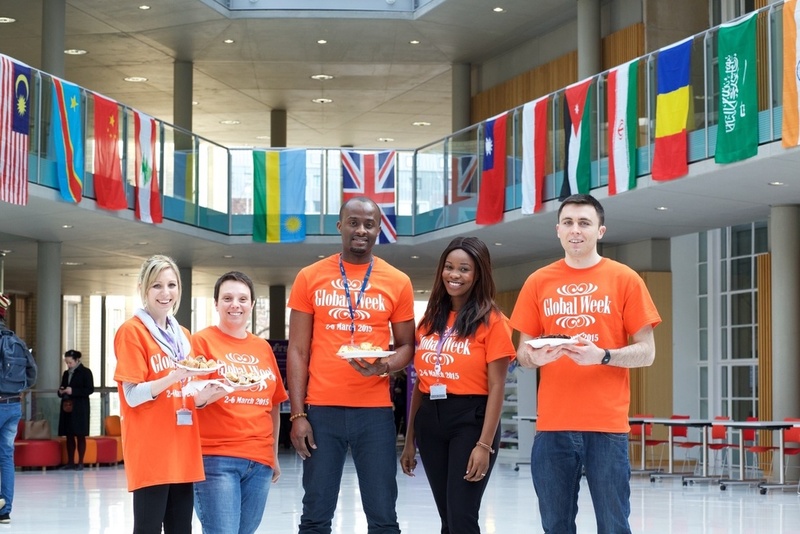 Global Week is a vibrant, inspiring festival showcasing our multinational community on campus every year. Through art, dancing, sport and food, it connects and celebrates the different cultural heritages of our students and provides opportunities for students and staff to extend their international outlook. The event has grown every year and it is our goal to make it even bigger and better going forward. This is where you, NTU, NTIC and Confetti students and staff, as well as external exhibitors come in. Global Week 2019 will take place from 25 February to 1 March. We are looking for a variety of events and activities to run throughout the week on all our campuses. The week will consist of a regional theme per day – Asia and the Pacific, Africa, the UK and Europe, The Middle East, and the Americas and the Caribbean. We are looking for anything globally themed, from culture, music, language, sport and food, to global issues, such as environment, migration (including refugee crisis), politics, healthcare… you name it! If you don’t know where to start, don’t worry. Just get in touch and we will give you advice and support. In most cases, you may also be entitled to some funding to help you run your stall or event. If you’re an undergraduate student, your involvement will go on your Higher Education Achievement Report (HEAR). It is a fantastic opportunity to develop your CV. If you would like to get involved or have any questions about Global Week contact us! You can also seach #NTUGlobalWeek on Twitter and Instagram to see photos and posts from previous years. And don't forget - this is your chance to travel the world in five days! These run from 10 am – 3 pm each day in a central location on each campus. These can be either country or culture specific, or run by a society, organisation, or professional services. Depending on the region of the day and the theme of the stall, these can run for a single day to the full week. We would like these to be as interactive as possible, so please think of ways to engage the visitors (either by involving them in a game, a quiz, a challenge… let your imagination fly)! Want to show off your skills and moves? Put on a performance of drama, dance, music, sport on our “global stage”. These can be themed to the regional day, or run at a lunchtime or afternoon / evening. Let us know what you’re thinking, and we will find a slot for you. Teach fellow students and staff a new skill. Whether it is to play drums, pronounce words in a different language, create beautiful arts and crafts, meditate or learn a new sport, all ideas are welcome! These can run at any time throughout the week. Are you passionate about a topic and want to share and discuss it with other students and staff? Why not put on an event? These can run at any time throughout the week. If you’re NTU academic staff, then this is the perfect opportunity to bring a global theme to your subject. You can bring in a global element to the module, use global case studies, or look at the subject in a global context. Languages are a big part of culture, and thus an important part of Global Week. We are looking to run language themed events throughout the week. These could be a Language Café style event where you can practise languages with other students, a taster of a specific language, calligraphy / typology, language bingo or other games. You can integrate these into a cultural stall, or run a separate event – the world is your oyster! These are just some examples of what has previously happened at Global Week, but any ideas are welcome. So don’t wait, email us or come to the Global Lounges for more information on what to do next.